Lee Mazzilli was good, not great, at just about everything. He could draw walks, hit for a decent average, smack 15 or so home runs and steal 15 or so bases a year, and cover a lot of ground in the outfield. You could almost say that he was flawless, a characterization that he seemed inclined to emphasize by custom-tailoring his uniforms and maintaining his archetypical feathered haircut with the level of care usually only given to invaluable cultural relics, which in a way is what it was. But in truth he did have one flaw: a relatively weak throwing arm. Ironically, Mazzilli lost out on a chance to win an All-Star Game MVP award because of the powerful throwing arm of another player. 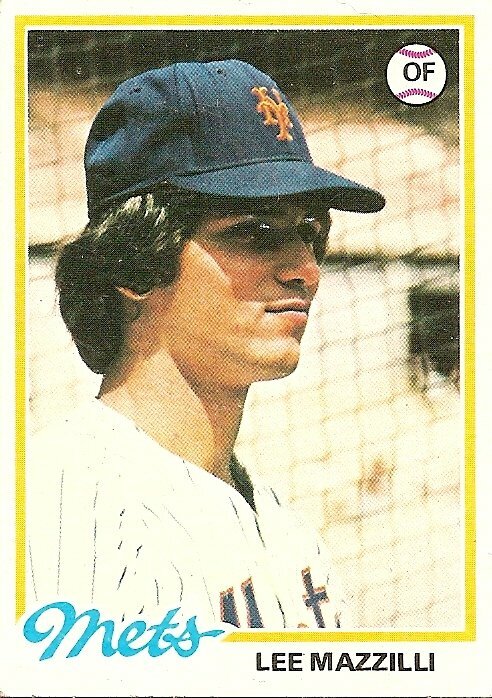 In the 1979 All-Star Game, Mazzilli entered as a pinch-hitter in the eighth inning and blasted a game-tying home run, becoming the first player ever to homer in his first All-Star Game at-bat. In the ninth inning he came to bat again and drove in the game-winning run by drawing a bases-loaded walk. Unfortunately, each of his batting feats had immediately followed a half-inning punctuated by right-fielder Dave Parker using the cannon attached to his shoulder to eliminate baserunners. Next to the national debut of Bruce Sutter’s forkball during the 1978 All-Star Game, Dave Parker’s pair of lightning bolts stands as the most vivid All-Star Game memory of my childhood. The voters for the All-Star Game MVP award were similarly amazed, and looked past Mazzilli’s batting heroics to give the award to Parker. Mazzilli never made it to another All-Star game, ensuring that his batting record in the midsummer classic would remain forever flawless. You are currently browsing the archives for the Lee Mazzilli category.